All the things with a crazy Taylor Swift trademark. 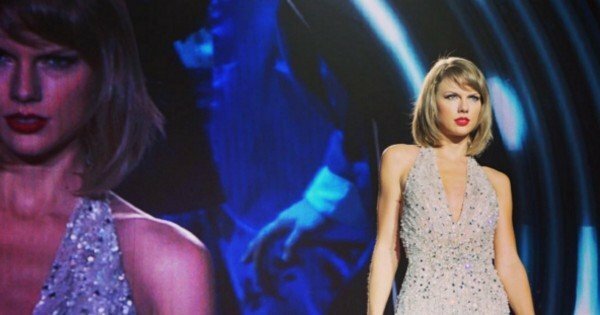 All the crazy things Taylor Swift is trying to trademark. Three little words with one very big star behind them, but we bet you didn’t realise Taylor Swift actually had that phrase trademarked in January. TayTay has risen to unprecedented levels of success and fame this year and it seems that on her way to the top, she has developed a habit of claiming ownership over certain words/phrases/things. According to Buzzfeed, Taylor is looking to trademark anything she can associate with her 1989 album. If you were born in 1989, there is a decent chance that Miss TayTay “Queen of the World” Swift could be about to own the numbers that make up the year you came into the world. Don’t fret, Taylor Swift isn’t about to become your legal guardian or sue you for writing your date of birth on any official documents, she is only seeking the rights to the numbers in a ‘stylised form’. If you were, however, planning on getting a t-shirt printed that says “Party like it’s 1989” for someone special this Christmas, you might need to write to Taylor’s management for permission first. Other pending trademarks include, “I’ll write your name”, and “A Girl Named Girl” in reference to an unpublished novel Swift penned at 14. Taylor’s attempts to trademark “Swiftmas” have sparked rumours that the singer wants to prevent other companies from profiting off her name, through Swift-themed merchandise to be sold in the coming weeks before Christmas. Taylor’s fans are familiar with Swiftmas, the term coined to reference Taylor’s random acts of kindness over the holiday season, which have so far included paying off a fan’s student loan debt, video messages and personalised gifts for her ‘Swifties’ fan-girl army. In other news, “Haters gonna hate” remains untouched. For now.